Leobardo had a great life before the accident. He worked as an electrician in Cuernavaca, Mexico to support his family and was looking forward to the addition of a new baby girl. All of that change when he accidently touched a live wire at work. The electrical current passed through his body and severely damaged both of his legs as it left his body. His injuries were so overwhelming that doctors had no choice but to amputate what was left of Leobardo’s legs. 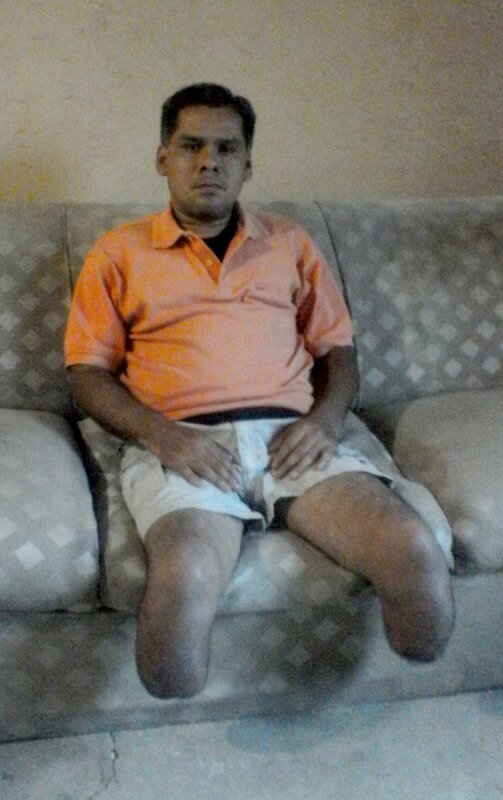 Unable to afford the high cost of locally available prosthetic legs, Leobardo has to rely on a wheelchair to get around. He dreams of the day when he is able to walk again. With your help, he will once again be able to work to support his family and go for walks with his new daughter.